朱子旭, 李永清, 朱锡, 等. 夹芯复合材料耐压壳工艺缺陷对承载能力的影响[J]. 哈尔滨工程大学学报, 2019, 40(2), 260-265. DOI: 10.11990/jheu.201712086. ZHU Zixu, LI Yongqing, ZHU Xi, et al. A capacity study on the effect of process defects in composite sandwich pneumatic shell[J]. Journal of Harbin Engineering University, 2019, 40(2), 260-265. DOI: 10.11990/jheu.201712086. Abstract: To analyze the effect of process defects on the bearing capacity of a composite sandwich pneumatic shell, relevant research is conducted based on results and numerical calculation of the pressure test on this pneumatic shell. This study confirms the feasibility of the manufacturing process in application. Results show that three types of process defects might be formed. 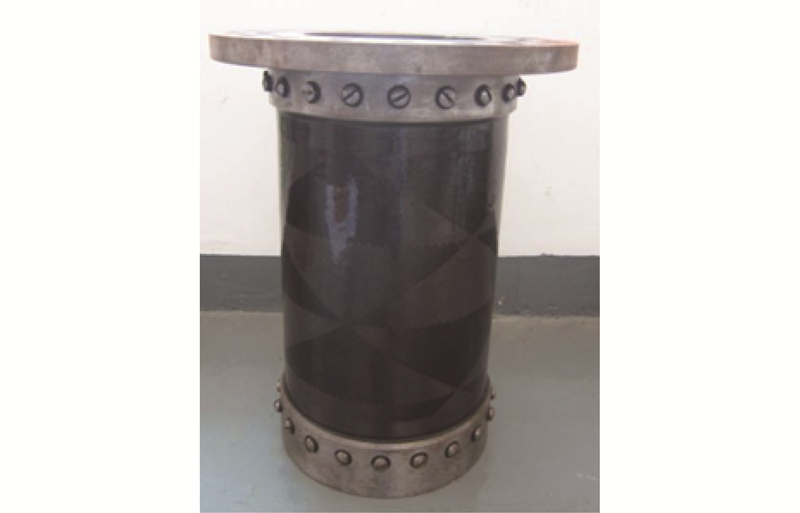 The findings indicate that process defects have a certain effect on the ultimate bearing capacity, but the structure is not sensitive to the process defects. The manufacturing process described in this paper is feasible. 王林, 李峰, 田冀锋. 初始缺陷对耐压圆柱壳结构极限承载力的影响[J]. 江苏科技大学学报(自然科学版), 2009, 23(1): 1-4. 闫光, 韩小进, 阎楚良, 等. 复合材料圆柱壳轴压屈曲性能分析[J]. 复合材料学报, 2014, 31(3): 781-787. 郝鹏, 王博, 李刚, 等. 基于缺陷敏感性分析的加筋圆柱壳结构设计[J]. 应用力学学报, 2013, 30(3): 344-349.